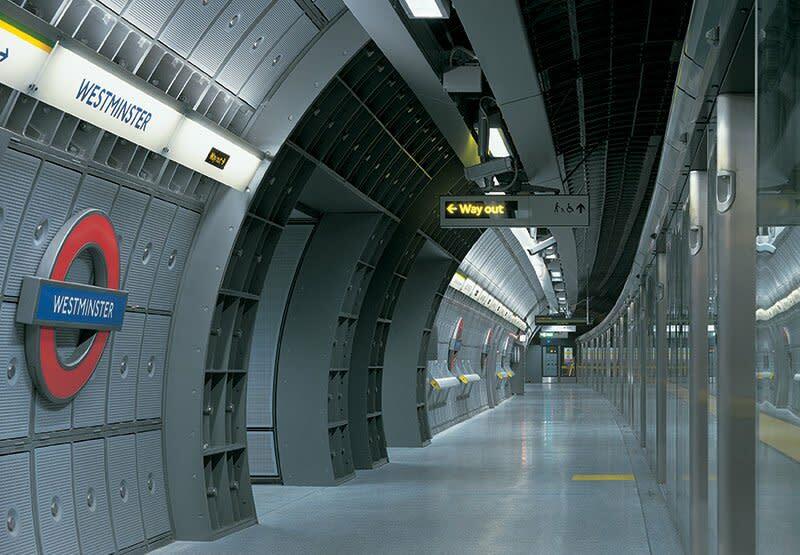 The old Westminster Underground Station served only the shallow District and Circle London Underground lines. 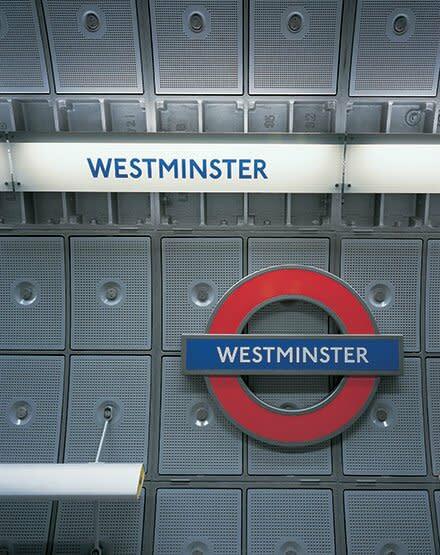 The arrival of the much deeper Jubilee Line extension and the construction of Portcullis House, the new Parliamentary Building, above required the resolution of a much more complex interchange to cope with the depth and axes of the lines, the positioning of the support for Portcullis House and the proximity to Big Ben and the River Thames. The District and Circle lines cut across the site at an angle of 45 degrees. This has a major influence on both the planning and the structure. 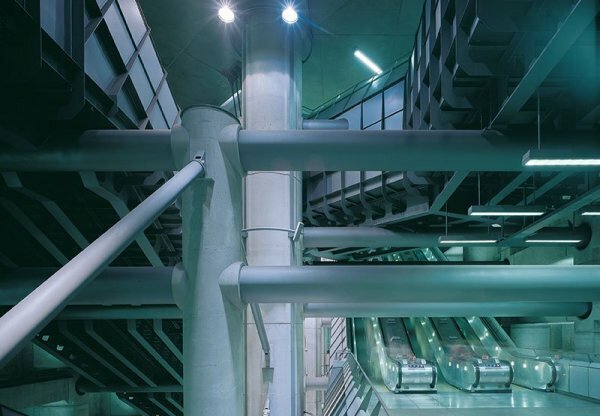 All elements such as walls, escalators and ticket barriers follow either the diagonal grid of the railway or the orthogonal grid of the building above. 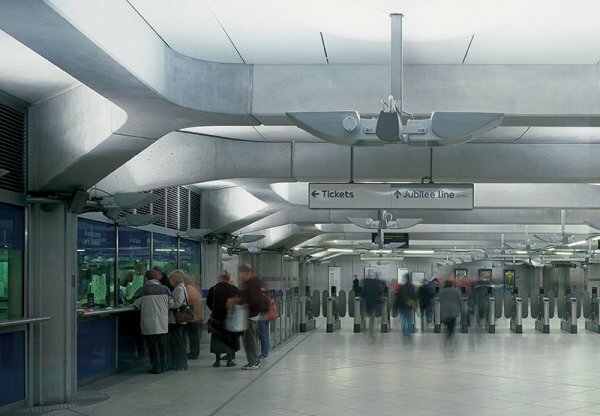 The Ticket Hall is entered from the colonnade of Portcullis House and the lower level District and Circle line platforms. Below lies 30 m deep escalator box to the Jubilee line platforms. 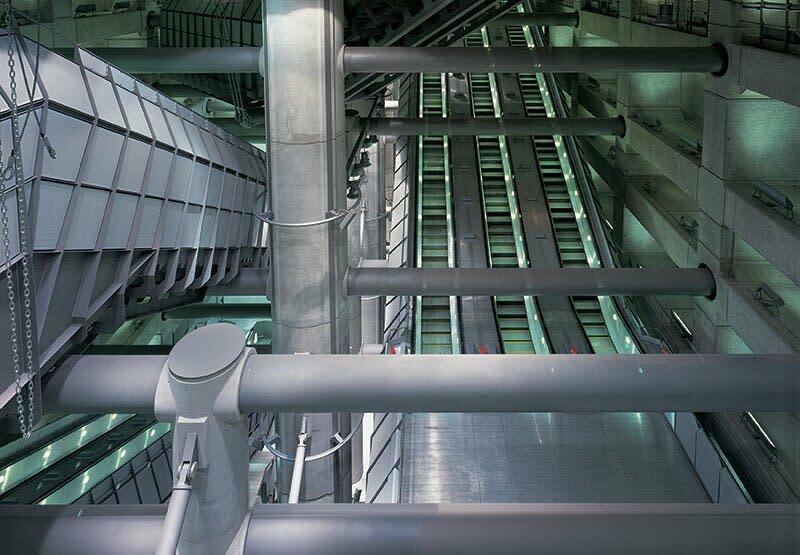 Travelling down the smooth stainless steel escalators that thread through, the Piranesian effect is heightened by views of the rough concrete of the box wall, framed by a massive diagrid of beams and buttresses, which also form the foundations of Portcullis House.